He's my new nephew, and Maya's new cousin. 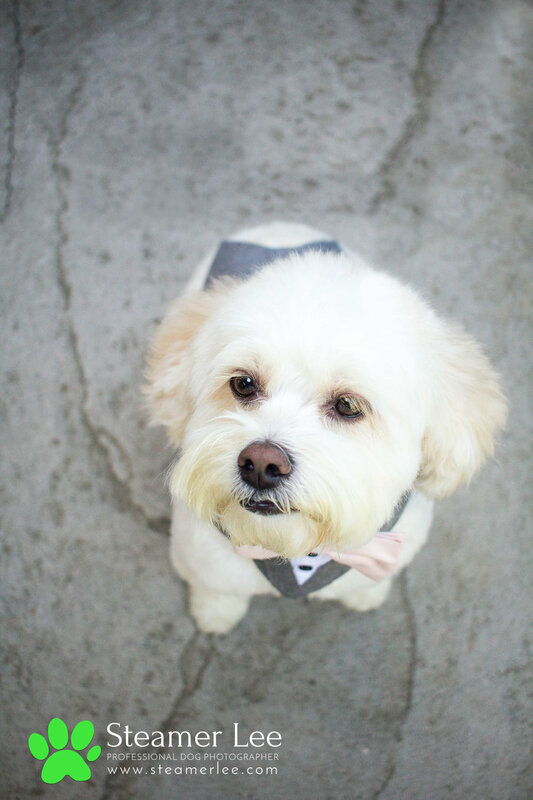 My brother had a beautiful wedding this past weekend, and Charly is now part of the Lee family. And we're so glad he made it! At first my brother and his wife were thinking of not bringing Charly to the wedding, because of the added hassle of "one more thing" to worry about on the wedding day. But then I told them, looking back on my wedding photos, I wish Fenix was there, and that he was in them. Because dogs are family too. After much thought, my brother's wife decided it would mean so much to her if he did make it to the wedding. And sure enough, she asked me to walk Charly down the aisle, and he even stood alongside the wedding party during the ceremony. (Or, I should say, he was sleeping most of the time.). But before the ceremony, I took Charly aside for an impromptu portrait session. Check out how handsome this little furry thief looks. 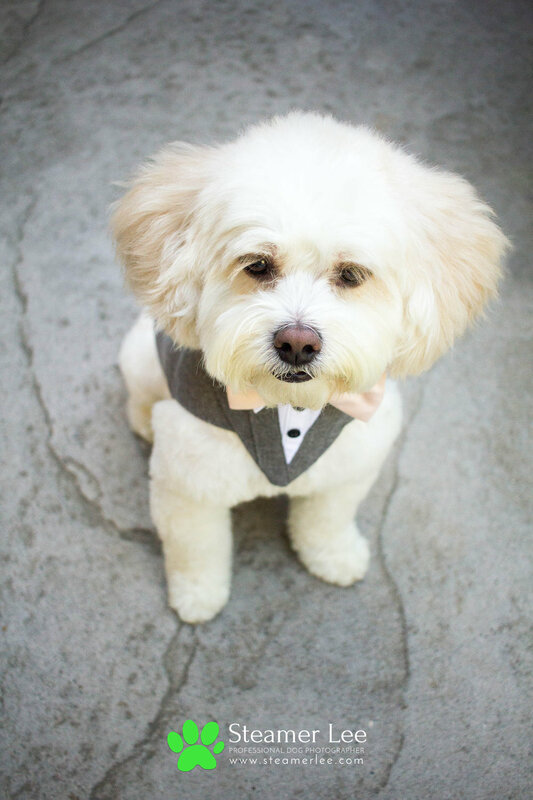 He stole all of the bridesmaids' hearts. Welcome to the family, Charly! Older PostMy Dog Photos were featured at Union Market, Mission Viejo!